1 item: $19.956-11 items:$19.50 ea.12 and up: $18.95 ea. 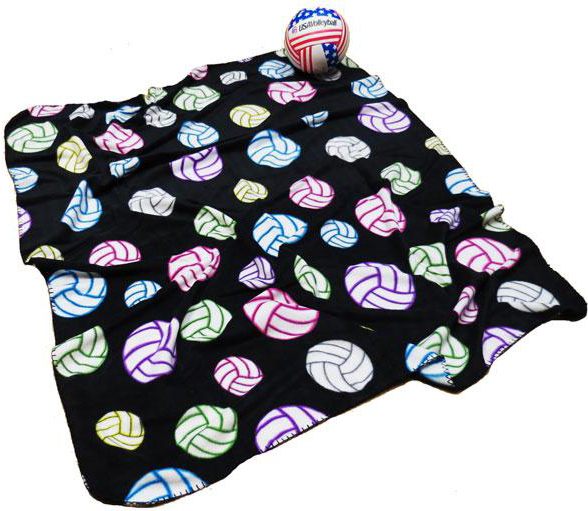 Big & Super Soft Black Fleece Multi-Color VOLLEYBALL Blanket can fold up and also be used as a Seat Cushion during those long volleyball matches. 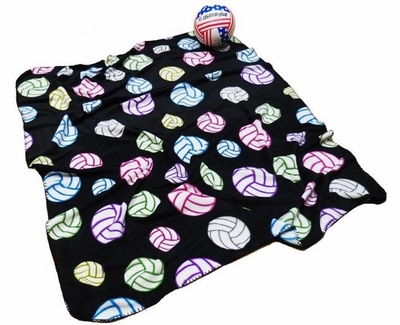 Colorful volleyball fleece blankets are perfect for sprawling out when setting up camp at the your weekend volleyball tournaments, getting nice & cozy on the couch, or whenever you need a soft fleece blanket to keep you warm. These ultra soft multi-color volleyball lightweight polar fleece blankets feature an assortment of bright volleyballs in the following colors: Neon Pink, Blue Turqoiuse, Bright Yellow, Lime Green, Purple, etc. 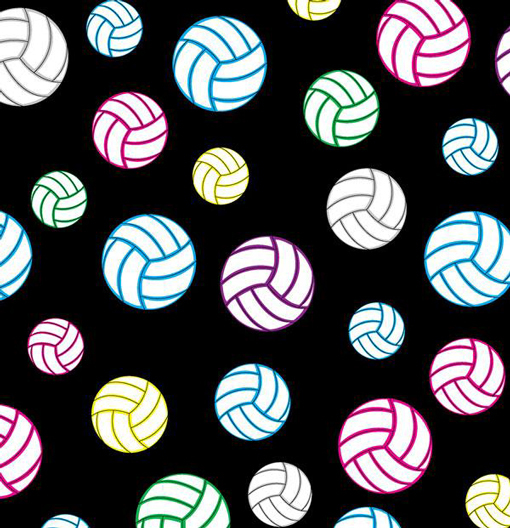 Soft & Colorful Volleyball Fleece Blanket size is approx: 50" x 60" and is Machine Washable. Just what I had in mind! JO season is starting and my daughter loves blankets, so I got this for her for Valentine's Day as a special surprise for the upcoming JO season, which can be very early mornings and long days, so a soft blanket was just what I had in mind. She loves it!!! ProsPrice is right!! A good traveling size blanket too! ProsGood quality and excellent price! Nice blanket to take to games. JUST PERFECT FOR MY 13YR OLD DAUGHTER. SHE LOVED IT. THE TEXTURE AND THE SIZE IS JUST RIGHT.